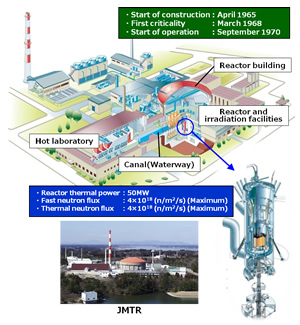 At the Oarai Research & Development Center, the JMTR will be able to contribute in many areas such as safety research for LWRs, radioisotopes production for industrial use and educational training of nuclear energy. Safety demonstration tests of the HTTR started in March 2002 to show inherent safety features of the HTGRs and to establish new consideration for safety design and evaluation methods. 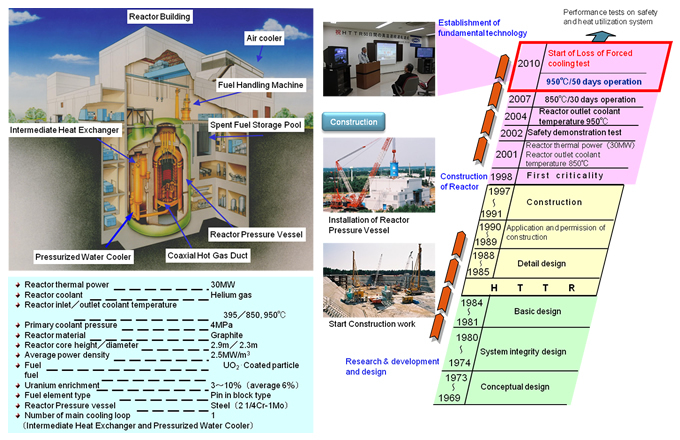 4) support R&D for "Fukushima Accident in 2011"
The Neutron Irradiation and Testing Reactor Center is here. The Department of HTTR is here. The Oarai Research & Development Center is here. HTGR Heat App. Res. Cen. Copyright(C) Japan Atomic Energy Agency. All Rights Reserved.